If you haven’t yet been asked to sign a pledge card to support the fight for quality public education, you soon will be. Signing the cards and talking to members is what the ETFO Member Engagement Program is all about. 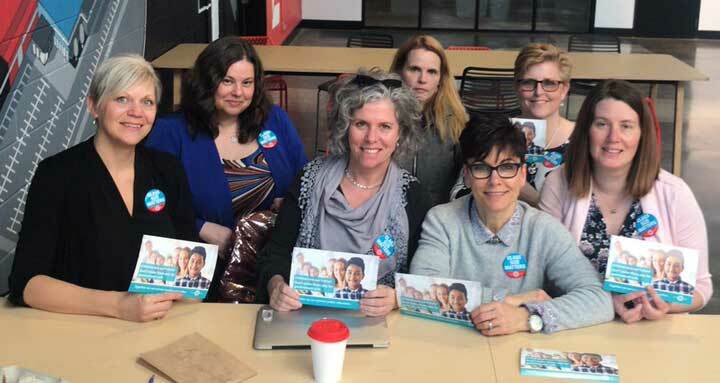 The aim of the program is to get all members – teachers, occasional teachers, DECEs, ESPs and PSPs – involved in the fight to defend public education and to talk to parents, their neighbours and others in the community about defending student needs. Provincial elected officers and staff, including President Sam Hammond and members of the Provincial Executive, have been attending steward meetings for the past month to deliver the message of engagement and activism. 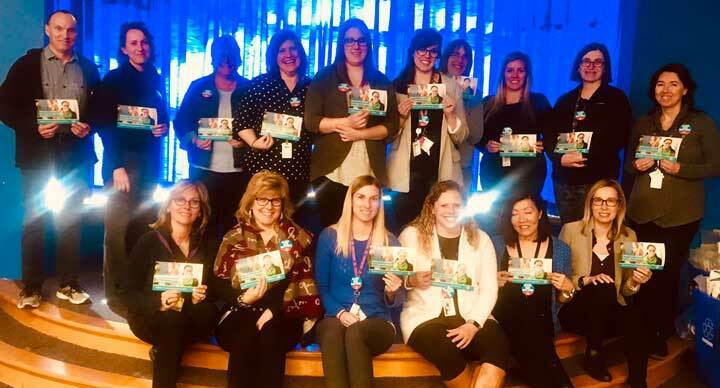 Every ETFO teacher local will be visited over March, April and May, with stewards receiving coaching on how to conduct member engagement and awareness meetings in almost 3,000 elementary schools over the next few weeks. Elected representatives from occasional teacher locals, DECE locals and ESP/PSP locals will be attending member engagement training with stewards and helping to reinforce the message that an active, engaged membership includes all ETFO members. Pictured above and below are some of the participants in meetings across the province. 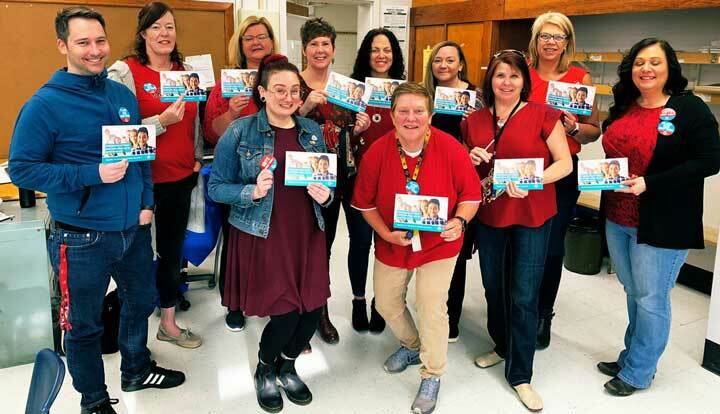 ETFO President Sam Hammond (back row, third from right) joins Keewatin-Patricia local officers, stewards, OTs, and DECEs in mobilizing to protect public education. 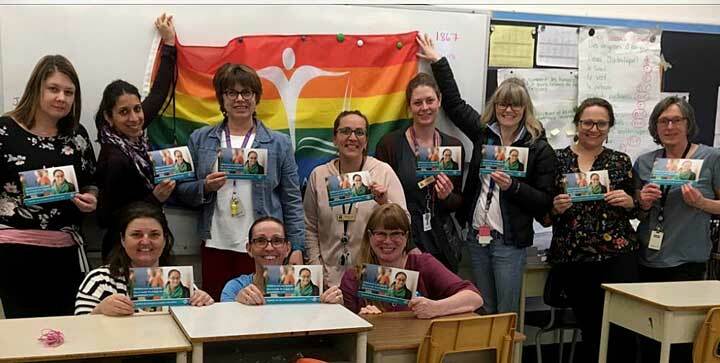 ETFO members at Vincent Massey Public School in North Bay had a great meeting in support of public education. 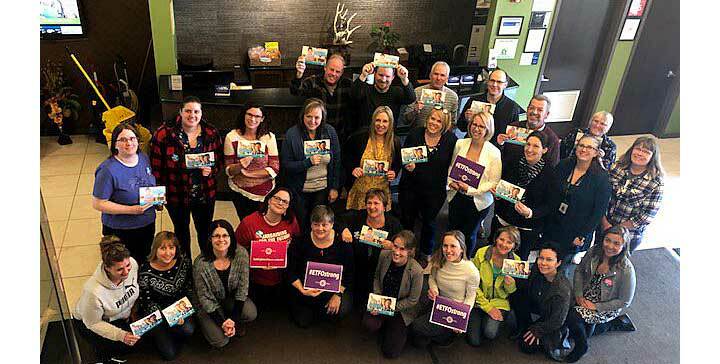 ETFO Waterloo members pledge to defend public education. 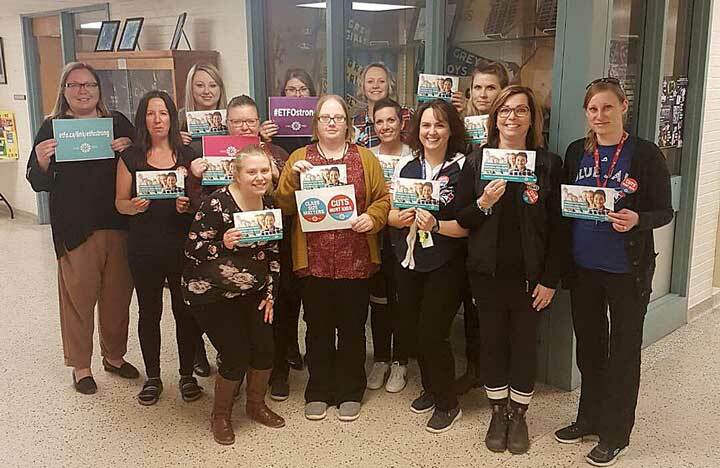 The special-education team from ETFO Lambton Kent are on the job defending public education.